Cindy Alander, Tampa, FL, serves as Secretary on the Better Marriages National Board of Directors. Cindy and her husband, Ross, together serve as members of the Board of Directors. The Alanders have been married for 15 years. Ross is a human resources consultant and teaches at The University of South Florida. Cindy is Senior Interior Designer for Arthur Rutenberg Homes. 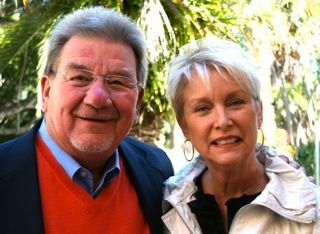 They became involved with Better Marriages in1996, attending a weekend retreat only a few days after their wedding and have been part of the Tampa Marriage Enrichment Group (MEG) ever since. They serve on the leadership team for Florida Better Marriages, currently as the Secretary couple. They have 3 grown children and 4 grandchildren.